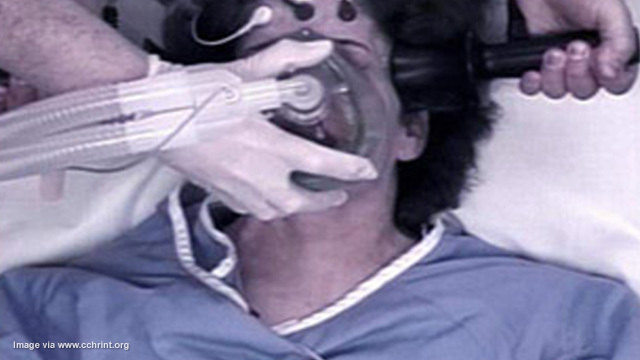 That said, the FDA's effort to reclassify Electroconvulsive Therapy (ECT) devices from their current level of Class III – the highest rating for medical equipment – to Class II, which is much less regulated, appears to be part of a two-pronged effort. In early December, Medicine.news reported that a bill had been introduced in Congress that "essentially weakens the already weak standards for the approval process of prescription drugs and medical devices, solely benefiting the pharmaceutical industry while placing Americans directly in harm's way as they unknowingly become guinea pigs." The bill, the 21st Century Cures Act, or H.R. 6, which has already passed the House, "relaxes scientific standards, virtually guaranteeing insufficiently tested drugs will hit the market only to be recalled after the damage is done," said Lee Spiller, Executive Director of Citizens Commission on Human Rights, an organization dedicated to restoring "inalienable human rights to the field of mental health." In addition, under the legislation, oversight and regulation of medical devices will also weaken, he said. "For years, the makers of psychiatric electroshock (ECT) machines have been unable to get their machines moved out of category III (dangerous or experimental) and into category I," he said, as reported by Medicine.news. In some cases, the bill may even allow "such devices to win approval based on an article from a 'peer reviewed' medical journal," Spiller said. In a January article, CCHRI, in commenting on the proposed rule change by the FDA, said that officials there sought to make the change "despite the federal agency's admission that the ECT device has not been proven safe and effective." To date, the organization says that 5 million people have been treated with ECT devices, but none of the manufacturers have ever had to submit clinical trial evidence of their effectiveness or attest to their safety. According to an announcement of the pending rule change from the FDA, the agency is proposing changing the classification of ECT devices "for use in treating severe major depressive episode (MDE) associated with major depressive disorder (MDD) or bipolar disorder (BPD) in patients 18 years of age and older who are treatment-resistant or who require a rapid response due to the severity of their psychiatric or medical condition." But wait! Aren't these dangerous? -- A worsening of psychiatric conditions. "One has to wonder, then, why has such a possibly deadly device been allowed for decades to be utilized and never undergone clinical trials for safety and efficacy? Further, from what source will the patient obtain a 'detailed summary of clinical testing pertinent to the use of the device...?" as required under the new reclassification, CCHR reported. "Clinical testing has never occurred on the devices." CCHR maintains in a separate alert that if the change in classification is initiated, it will mean that for some uses, ECT devices will be in the same category as contact lenses and air purification machines. "Because the FDA does not regulate medical practice, classifying the ECT device as Class II for any 'disorders' opens the door to a massive potential for off label use and enforced treatment of involuntarily detained patients and children," says Jan Eastgate, president of CCHR International.